I saw this too but it doesn't sound right. If he doesn't show up and therefore didn't sign his 2nd Franchise tag then NEXT year's tag would be his 2nd tag. I'm pretty sure this IS the way it is. Wouldn't it be ironic if this goes to arbitration or w/e and the Steelers win this battle only to say they don't want to tag him, lol. That’s the thing, Steelers don’t want it to go to arbitration because it would kill the cap. NFL doesn’t want it to go to arbitration because it likely means Bell sits out longer. 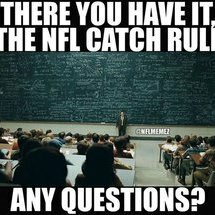 NFLPA doesn’t want it to go to arbitration because they know that something will come out that teams can actually tag players more than they can now. Youre right. Tbh, idc what the verdict is, he isnt going to be a Steeler next year. Something tells me he is going to be a Patriot. SOMETHING JUST OCCURRED TO ME!!! This is LITERALLY what the CBA says. Keep an eye on November 14, 2018. I would NOT be shocked if on that date, if Bell has not signed the Franchise Tag, the Pittsburgh Steelers rescind the tag. He would NOT technically be a free agent because of that by-law, am I right? Keep an eye on November 14, 2018. I would NOT be shocked if on that date, if Bell has not signed the Franchise Tag, the Pittsburgh Steelers rescind the tag. He would NOT technically be a free agent because of that by-law. I don't think he signs or plays this year. Next year he will be UFA and the mega deal he wants will be on its way. I hope he goes to a team with a mediocre OL , thats all we can ask. I hope he goes to an NFC team or the Oakland Raiders. this has been said 2 other times this season. I hope they leave connor in at RB let bell be a WR or a reserve RB in case of injury. Samuels looked ok with he elway helicopter TD. We are all tired of the bell saga, it should end on tuesday finally. I just hope if he returns it doesn't interfere with the team as they appear to be playing their best right now. Under the NEW CBA however, he might be able to skate into free agency. 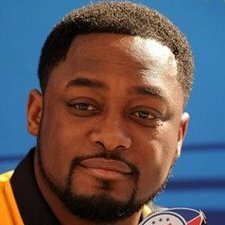 If he doesn't play, according to the CBA, the Steelers "shall have the right to designate [Bell] as a Franchise Player or a Transition Player" in 2019. Typically speaking in a franchise tag situation, there would be 120 percent bump in the price of the tender. EXCEPT, if Bell is "redesignated as a Franchise Player for the League Year following the League Year in which he does not play, the player may be designated only under Section 2(a)(i) above." What does "Section 2(a)(i)" consist of? It's the "Required Tender for Franchise Players" and it references "Subsection (b)" of that portion of the CBA. That "Subsection (b)" makes very clear that Bell will be given a salary of one of three things, whichever is greatest. Bell's salary can't count as he did not get paid. I am sure they are thinking that 144% of the year before means 2017 but the franchise starts with the new NFL year ( March 1) and then the previous years salary for Bell is zero. 144% of 0 is zero so that option is out. His only hope is 120 of the average of the top 5 in his position. Should have listened to your Mom, Le'veon. That being said, the Steelers will transition tag Bell so the can trade him. There's reports that it's happening.